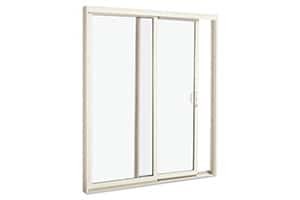 Portico Single Slider (OX/XO) patio door is a classic patio door with traditional right-hand (OX) and left-hand (XO) configuration. With minor adjustment during installation, this system is reversible as a right-hand and left-hand configuration. It is just perfect for your remodelling and new home project!